Head of School of Kohelet Yeshiva. Co-Designer and Creator of Yeshiva Lab School. Fascinated with the Jewish future. The following article is based on a presentation given at Yeshiva University's Championsgate Leadership Conference in July, 2016. In the increasingly fractionated world of American politics, the search for common ground seems ever more elusive. However, if we drown out the bickering for just a moment and set aside the “how” in favor of the “what,” there do appear to be ideas and ideals that we, as Americans, still share. Perhaps foremost amongst them is what we commonly call the American Dream. The presidential candidates may differ over how best to accomplish it and who is entitled to pursue it, but that at the core of what it means to be American is to aspire for upward mobility - in wealth, health, comfort, and education - is seemingly never subject to debate. Several years ago, though, the social psychologist David Myers wrote an important book called the American Paradox, which offers sobering insight into this national pursuit. In it he notes that though we Americans, en masse, have far more material luxury today than did our grandparents in the 1950s, we’re no happier for it. In fact, rates of depression, divorce, and suicide have only gone up - not down. His research shows that after a certain level of basic comfort has been achieved, there is actually an inverse relationship between one’s focus on the attainment of wealth and one’s overall well-being. In other words, if what we’re after is what our Founding Fathers called the inalienable right to the pursuit of happiness, our contemporary pursuit of the American Dream may be the least effective way of going about it. This paper is about a counterintuitive notion: that upper-middle class youth, who are en route to the most prestigious universities and well-paying careers in America, are more likely to be more troubled than their middle-class counterparts. Youth in poverty are widely recognized as being “at risk,” but increasingly, significant problems have been seen at the other end of the socioeconomic continuum. We describe insights on the types of problems documented among teens in relatively affluent communities and explore reasons for their vulnerability. So, while upper middle class teens aren’t struggling in large numbers with gun violence and street crime, they are struggling mightily with cheating, drinking, anxiety and depression. It wasn’t long ago that we all feigned surprise when 20 Long Island teens were arrested for paying someone to take their SATs and ACTs for them, and then again when a year later 125 Harvard students were implicated in a cheating scandal “unprecedented in anyone’s living memory.” According to studies cited by Luthar, 34% of high school students self-reported having cheated in 1969. In 1992 that number was 61%, in 2002 it was 74%, and we have no reason to think it’s gone down in the fifteen years since. According to the Substance Abuse and Mental Health Services Administration’s National Survey on Drug Use and Health, about 11 percent of youth ages 12–17 had a major depressive episode in 2014, whereas only 9% reported having had one in 2004. Far more alarming, though, is that according to Luthar the number amongst girls in affluent communities is 1 out of every 5. In addition to describing the symptoms of this affliction that we, in the Modern Orthodox community, know all too well, the authors offer suggestions as to the causes as well. Now consider the implications for the Modern Orthodox community. According to the Pew Study, the Modern Orthodox are the wealthiest and best educated group of American Jews with 65% having earned at least a college degree and 37% reporting household incomes in excess of $150,000 (nearly triple that of the average American). The same can be said in the religious realm, as the text skills and cultural literacy of our Day School educated millennials far exceed that of generations prior. There is no doubt that the American Dream, the dream of the goldene medina, figured prominently into our success. Our grandparents and great-grandparents lived firmly by an immigrant ethos which dictated that the purpose of parenthood was to raise children whose achievements and accomplishments would far outdo their own. That credo served us well for two generations as we rose from street peddlers and sweatshop workers to the upper echelons of professional life, and from reciters of Tehillim and learners of Chumash mit Rashi, to skilled ba’alei kriah and teachers of daf yomi. All this success leads to an inevitable conundrum. In our hearts we still want more for our children. We were raised that way, we benefited from it, and we want our children to have the same. Yet an honest appraisal of our current circumstances would have to conclude that there is very little room left at the top. And if we do, indeed, wish our children to out-educate us and out-earn us, thereby taking their place in that smallest strata of societal elite still unconquered by our community, how many casualties will we create along the way? In terms of messages disseminated, parents need to ensure that there is not an overpowering emphasis on extrinsic values in the home. Recognizing the subcultural risks of violence and crime, many inner-city mothers are particularly strict about whom their children can consort with, and when (Kling, Liebman & Katz, 2005). In much the same way, parents in affluence need to recognize that they, more than their middle class counterparts, need to be especially vigilant about keeping their children firmly grounded in intrinsic values. Families have to counterbalance the enormous reverberating cultural messages that children must, at all costs, accomplish ever more in pursuit of top-ranked colleges and the most lucrative jobs. To do this, we as parents must be grounded ourselves, as our children internalize and emulate what they see in us (Weissbourd, 2009). The Gemara (Kiddushin 30b) relates that God gathers His children and tells them that just as “I created Evil Inclination, so I created the Torah as its antidote.” Seldom does that ring truer than in this situation. God created us with an appetite for extrinsic rewards and material luxury and at the same time He provided us with a set of intrinsic values in which to find meaning, purpose, and pleasure. 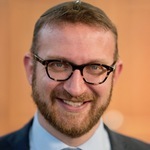 The question we need to ask ourselves as a community is whether the role of Torah in our lives is as a guide to the restaurants we can and cannot eat in during the week and to the devices we can and cannot operate over the weekend, or as a wellspring of values that informs our aspirations and our conversations, our inspiration and our avocations. If it is only the former, I fear we’ll further fall prey to the menacing symptoms described by Luthar. If it is also the latter, though, we might well have the strength and resolve to continue flourishing at the apex of American society while giving our children the space, the health, and the desire to dream their own dreams.